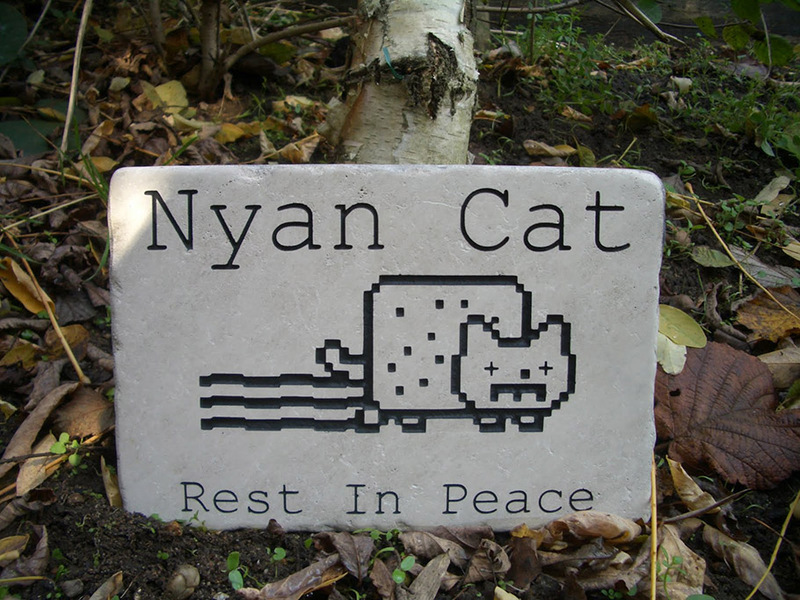 I took a phone call from a customer a couple of weeks ago, asking me if we could make a pet memorial from Nyan Cat. I said: “Sorry to hear that you have lost your pet, how old was he?” The customer replied and said: “You obviously have never heard of the internet meme “Nyan Cat”!” Um, nope. 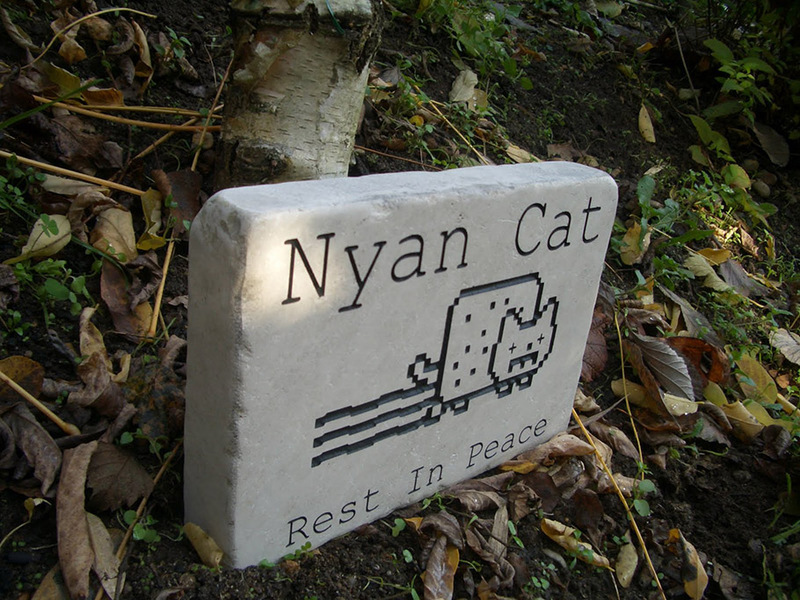 Anyway, what the customer wanted was a memorial, as a bit of a joke for his son, for Nyan Cat. Supposedly to mark the end-of-an-era type thing. The son had been obsessed with the badly drawn cat and other internet meme's such as Nintendo's Mario characters and the whole internet cat phenomenon, and had now finally got rid of the posters and ornaments he has collected over the years and grown up and was now getting married! Reading on wikipedia, the craze is worldwide and started from a youtube video and has spawned many more videos, games, images, forums and is still loved universally. Who knew? Not me that's for sure. Returning to the order that the customer wanted to make. He wanted an image of the “Pop Tart Cat” as Nyan cat is also know as, and some text engraved onto limestone and painted black. He was going to present his son with the memorial stone as an extra wedding gift so that he could finally lay the cartoon cat to rest in his head and make the transition to man, no doubt. We found a clean-ish image on Bing image search and converted it to a vector image and refined the scruffy edges and imported it into our template cutting software. There we made a couple of other modifications, adding “plus” symbols where the cats “eyes” were to symbolise the fact that it was supposed to be dead, and simply turned the smiley mouth upside down to make it look like it was sad, being dead and all. For the text we used Courier New. Not a particularly popular font these days but it seemed to fit the overall theme. All of this was cut into a template on a plotting machine and applied to the stone and then high pressure sand blasted to erode the stone where we needed it to. Black paint was then applied and the template removed. Job done. The customer was delighted with the the stone and it was a talking point at the wedding.